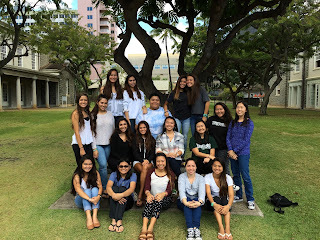 Over the weekend, the Sacred Hearts Academy Concert Choir and Select Choir participated in Nā Leo Hou: Hawaii's All-State Choral Festival. The students performed six selections with 240 singers from Oahu, Kauai, and the big island under the direction of nationally renowned clinician, Tesfa Wondemagegnehu. 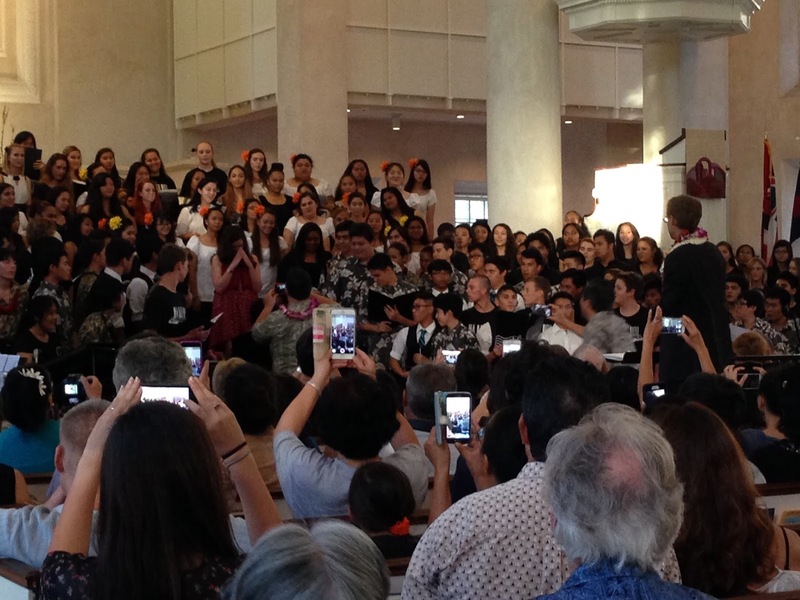 In addition to singing together, each school choir completed a sight-reading examination and were adjudicated in individual performances. The Academy's combined Concert and Select Choir received a Superior rating in sightreading, one of only three schools to receive the rating. Additionally the Academy received a Superior rating and the HIGHEST score of any school for their performance of the song "No Time." A special congratulations to , Tefsa Wondemagegnehu who took the opportunity to propose to his girlfriend, Michelle Bendett, during the concert! The students sang an arrangement of John Legend's All of Me that our very own Dr. Alec Schumacker created specifically for Tesfa and the special surprise. She said yes! Congratulations and we wish you a lifetime of happiness together.